Lexington, Kentucky native, William R. Sims graduated from University High School in 1953. Transferring from Miami University , Oxford , Ohio to the University of Kentucky , he earned the Bachelor of Science degree in Civil Engineering with an architectural option in 1958. While a student, he was a member of the Cooperstown Council, Phi Delta Theta social fraternity, and the Air Force ROTC. Upon graduation, he was called to active duty in the United States Air Force with the Engineering Division of the 1001st Civil Engineering Group at Andrews Air Force Base (AFB), Maryland . While in the Air Force, he was awarded an Air Force Scholarship to the graduate school at Princeton University where he earned a Master of Fine Arts in Architecture in 1963. For the next 23 years, Mr. Sims advanced through the military ranks, holding positions of increasing responsibility within civil engineering. His assignments included Director of Operations and Maintenance, Bentwaters-Woodbridge Royal Air Force Station, England, (1963-1967); Deputy and Base Civil Engineer, Don Muang Royal Thai AFB, (1967-68); and Instructor and Chief, Department of Management Applications, Civil Engineering School, Air Force Institute of Technology, Wright-Patterson AFB, Ohio (1968-1972). During his tenure, the school won the Air Force Organizational Excellence Award and the Society of American Military Engineers’ Curtin Award for organizational excellence. From 1972-1974, he served as Chief, Housing Design Policy Branch, Directorate of Engineering and Services, Headquarters, USAF, Pentagon. As Principal Architect-Engineer, Air Base Planning Branch, Environmental Planning Division, USAF Directorate of Engineering and Services, Pentagon (1974-78), Lieutenant Colonel Sims was the Air Force representative to the President’s Council on Environmental Quality. Following graduation from the National Defense University’s Industrial College of the Armed Forces in 1979, Colonel Sims took command of the 554th Civil Engineering Squadron (RED HORSE), Osan AFB, Korea , the oldest and most decorated design and construction squadron in the Air Force which won the Air Force Outstanding Unit Award during his tenure. His next assignment was as Deputy Base Commander for Civil Engineering, 15th Air Base Group, Okinawa, Japan (1980-81), followed by a tour as the Director of Environmental Planning and Vice Commander of the Air Force Civil Engineer – MX, Norton AFB, California where he successfully directed the largest environmental planning effort in the history of the Air Force. Returning to Andrews AFB in 1982 as the Assistant and then Deputy Chief of Staff, Engineering and Services, Air Force Systems Command, Colonel Sims’ organization was recognized for successful programming and construction of the most complex, one-of-a-kind facility projects in the history of the Air Force. One project was the West Coast Space Transportation System Launch Complex, also known as the Space Shuttle launch facility, Vandenberg AFB, California . His work on this project helped earn his organization the 1985 American Consulting Engineers Grand Conceptor Award for Engineering Excellence. After retiring from the Air Force in 1986, Mr. Sims joined the Ralph M. Parson Company, Pasadena , California , as a principal project manager. In this capacity, he was responsible for technical and administrative direction of architecture, engineering, construction and procurement support for several projects for the Walt Disney Corporation. Among these was managing full architect-engineer design services of the Wonders of Life pavilion, EPCOT, Walt Disney World Resort, Orlando , Florida . In 1989, Mr. Sims joined Walt Disney Imagineering as Vice President of Architecture and Facilities Engineering. Imagineering is the planning, design, engineering, production and project management subsidiary of the Walt Disney Company, responsible for the creation of Disney theme parks world-wide. In 1992, he was promoted to Senior Vice President, Walt Disney Imagineering – Florida where he directed implementation of all Imagineering projects for the Walt Disney World Resort including the preliminary design of the Animal Kingdom theme park. 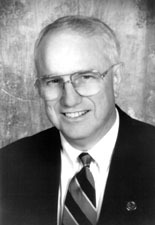 Mr. Sims retired from Walt Disney in 1996 and founded Windermere Teams, Inc. The company specializes in the development of in-house and out-sourced organizational teams for public and private institutions. Clients have included the Apple Computer Co., The Discovery Channel, Fess Parker’s American Tradition Co., National Geographic Ventures, Inc., Orange County (FL) Public School District, Sony Development Co., and Walt Disney Imagineering. Throughout his career, Mr. Sims has been the recipient of a number of honors and awards. Among these are the Bronze Star, three Legion of Merit Awards, the Air Force Award for Design Excellence, and the Society of American Military Engineers Newman Medal for professional excellence. He was also selected for the University of Kentucky Alumni Association’s Hall of Distinguished Alumni in 2005. Professionally, Mr. Sims is a member of the Society of American Military Engineers, the American Institute of Architects, and is a registered professional engineer and a licensed professional architect in Kentucky . He is also a member of the UK College of Engineering Dean’s Advisory Board, the UK Alumni Association, the Engineering Alumni Association and is a UK Fellow. Mr. Sims’ interests include tennis, photography, and boating. Residing in San Antonio, Texas, he and his wife, Suwapee, are the parents of a son, Arc.